What'll this homecoming be like? The smoke enveloping the Northwest right now is symbolic of the overcast skies surrounding Boise State quarterback Brett Rypien. How did Luke Falk ever get out of Logan, UT, as a walk-on quarterback in 2013? He was 6-4 back then, too, wasn’t he? There was a time not so long ago that Boise State would have built a wall around Brett Rypien on a week like this. We knew Montell Cozart would get into the game for Boise State Saturday against Troy. We did not know that Cozart would take 35 snaps, including the Broncos’ final 23 snaps of the game. The Broncos (10-3 in 2016) are looking for a fresh start after struggling down the home stretch last year, losing their final two games, including a 19-point loss to Baylor in the Cactus Bowl. With a road trip to Washington State on deck, the Broncos want to start the 2017 campaign with positive momentum. A home win against a good Troy team would do just that. The Cougars will be looking for payback in the Palouse after the Broncos beat them in Boise last season. The Bronco defense held Troy to 207 yards of offense as Boise State won its home opener for the 16th year in a row. The Boise State alum immediately becomes a free agent. Whatcha doin' for Labor Day weekend? KTIK’s John Patrick has dusted off a legendary old Dirk Koetter soundbite this week as ticket sales have lagged for tomorrow’s Boise State opener against Troy. We harken back to November of 2000, when the Broncos were rolling, but attendance had not quite caught fire. Two BSU athletes are from the area hit hard by Hurricane Harvey. 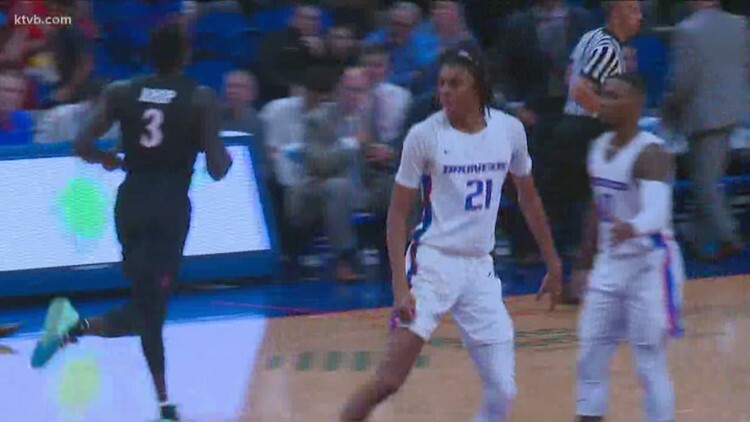 The Boise State Broncos are set to take on the Washington State Cougars Saturday at 8:30 p.m. Regardless of how many people are in the stands surrounding it Saturday, Boise State considers the blue turf hallowed ground, where losses are unthinkable. There are three players on Boise State’s defensive line whose names did not grace the public address system at Albertsons Stadium much last fall. Coaches weren’t confident enough to sub them in much, and the Broncos D-line mainstays wore down. Two of the best Group of Five teams will meet for the first time in a Saturday afternoon matchup at Albertsons Stadium. The story of the day is that 9,000-10,000 tickets remain for Saturday’s season opener on the blue turf between Boise State and Troy. The sidebar is those who don’t show this week could miss a helluva football game.